The Umarex Brodax and a Surprise Competition! Umarex Forge! Airgun Angie! VS A Pickle! I’ve already sighted in the Axeon (Gauntlet) Scope on my Umarex Gauntlet .22 and I told you I would check out the double zero and see if it actually works. This time I’m sighting in my Gauntlet .25 with the same scope, I decided to test the double zero while sighting it in. I’m startng at 25 yards, when I get it zeroed I’m going to take it back to 40 yards, zero it in, then bring it back to 25 yards to see if the double zero actually works. If it does, I’m gonna love it!! Watch and see for yourself! Airgun Pro Shop, LLC. is the OFFICIAL vendor for Backyard Shooting and Airgun Angie. If you like the products in this video and plan to purchase them please click on the links above and if possible, let them know Airgun Angie sent you. Thank you! We started the Backyard Shooting (BYS) facebook page after a lot of thought and planning. We will be geared towards teaching people of all ages and sexes about airguns, shooting, gun etiquette and lots more. We are aiming this site at people with little to no experience with guns of any kind. We hope to educate others as we are educated ourselves on everything shooting sports related. 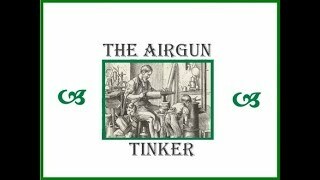 Copyright 2018 All rights reserved Airgun Angie is part of the Airgun Web Family of airgun content contributors.